December 7 - Meet at the McLean House - 5350 River Street, West Linn, We will walk down to Maddax Woods to view the Lighting of the Woods (during the day) and discuss Dorothy Maddax's gardens and Virgil Maddax's boat building enterprise. 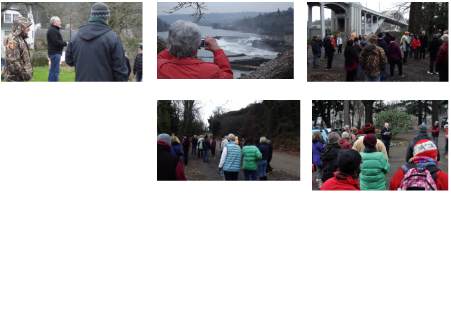 We will continue the walk through Burnside Park to the DD Tompkins land claim area where we will discuss the Tompkins homestead and Magone's Park. We will return to the McLean House where we will go inside where the Friends of the McLean House and Park will host us with hot apple cider and tours of the house.